Becoming one of Supreme Leader Snoke’s Imperial Guard members is an honor not bestowed upon many warriors within The First Order. Normally, you have to spend decades of training just to get a shot at the job. You need to become a master of arms and you need study the art of warfare, day and night. You need to exercise until your body is a weapon itself. And you definitely need to NOT be a sitting duck for all of those “hero” characters who seem to defeat regular Stormtroopers with ease. Yes, you need to be a cut above the rest and all that sounds rather… tiresome. Why not just skip all the training and get to the good stuff, like wearing a totally intimidating red guard suit? Well, that just became much easier with this licensed Star Wars costume. 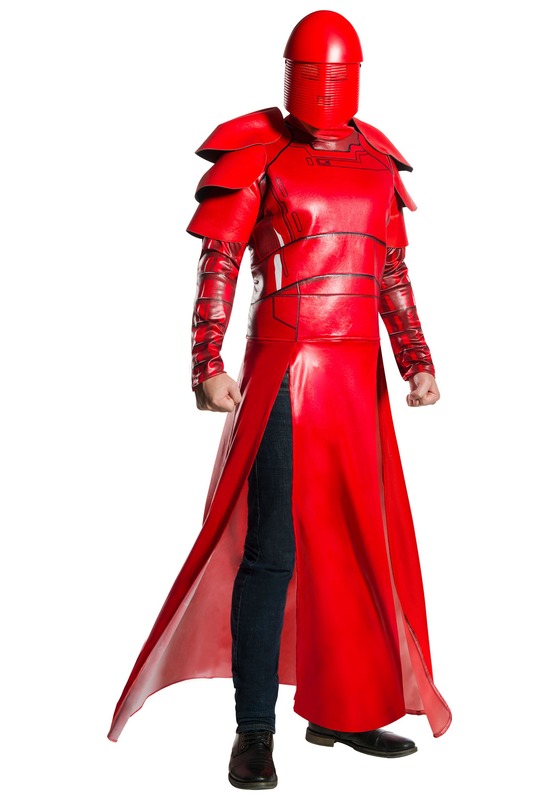 The deluxe Praetorian Guard costume is inspired by the outfit seen in The Last Jedi. It comes with a brilliant red robe with attached armor pieces to give you a combat ready look. The included mask it a matching red color and has small slits for your eyes and mouth, but the mask doesn’t allow your enemies to view your face. Of course, you might want to brush up on your fighting technique when you wear this outfit, since you never know when Rey or Luke Skywalker will show up to bother Supreme Leader Snoke and you’ll want a few sweet melee moves in your arsenal to quickly dispatch them!